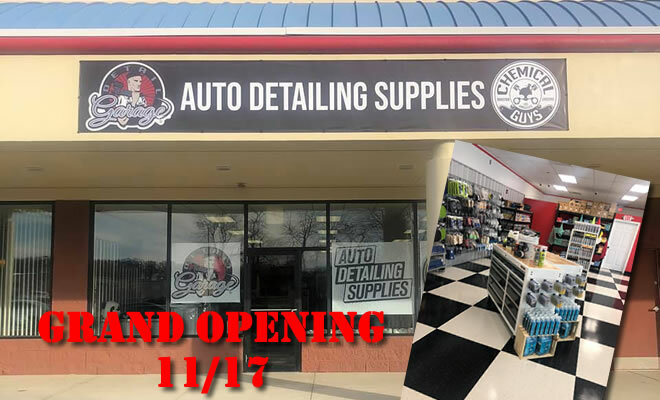 SWANSEA, Massachusetts – A bit of inspiration from their Cousin and working with substandard off-the-shelf automotive detailing products, Gary and Andrew Sousa decided to do something about the lack of high-end products in their area. The answer? Detail Garage Swansea, Mass. Gary and Andrew Sousa like most automotive enthusiasts become a bit intrigued by the number of products available to clean and detail a vehicle. It typically begins in your garage or out in the driveway tinkering with what works. Most off-the-shelf detailing products are attached to a marketing gimmick, a convincing strategy for you to purchase their product. A few hundred dollars later, you are left with the same finish you began with and a very disappointing taste in your mouth. After spending hours in their garage, Gary and Andrew were convinced they did an amazing job with the rotary machine. 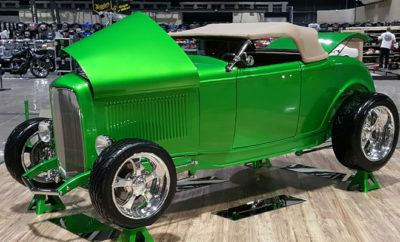 Feeling confident, they stepped back and looked at the cars and said, “they both look the same as they did from when we started.” As passionate as most enthusiasts are, Gary and Andrew were not going to give up. They were going to find the right solution to get their rides looking right. What was the next step? Give their Cousin Joe a call who is a Detail Garage Owner in Canada. They asked Joe a few questions and Joe promised to send them a box of products to try out, Joe assured them they would not be disappointed. If you are not familiar with Detail Garage, DG is your one stop destination for all thing’s car care. Exclusively offering premium brands Chemical Guys, Smartwax, TORQ, Hex-Logic, and much more. The box of goodies arrived, and the brothers felt like it was Christmas morning. The entire night they watched Chemical Guys videos to learn about each of the products Joe sent them. Back to the garage the very next day to give the products a try and there was a noticeable different between the Detail Garage products versus the auto parts store off-the-shelf products. Ever since, they were hooked! About a year later, there was a family wedding in Canada, so Gary and Andrew took the opportunity to visit Joe at his Detail Garage in Canada. Like kids in a candy store, they were about to purchase every single product Joe had in stock. It did not take long for Joe to convince Gary and Andrew to open their very own store in Massachusetts. After they left their cousins store, they discussed the opportunity with family and started their research. Joe flew down to Massachusetts and the family started to research locations. It is all down hill from there. 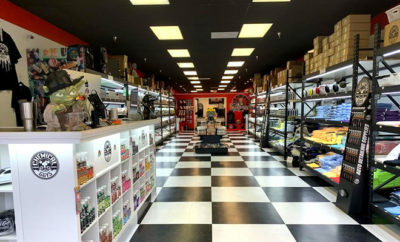 The Detail Garage and Chemical Guys family all begins with a rigorous selection process to choose the right Franchisee. Candidates fly out to the Chemical Guys headquarters and spend time going through the Chemical Guys Smart Detailing University. Gary and Andrew describe the process as, “an amazing experience, we would do it again in a heart beat.” From learning the products and application, they had an opportunity to detail cars that you do not get to touch very often. Among the benefits for new members is on-going training, social media marketing, brand recognition, and a proven business model as well as getting the chance to turn their passion for cars into a lifestyle and profitable business. The DETAIL GARAGE SWANSEA Grand Opening is tomorrow November 17, 2018. Gary and Andrew with help from their family and friends have all worked hard to get to this point. The hardest challenge for them was preparing their store for the grand opening and making sure they made the deadline. Gary and Andrew encourage anyone who has the opportunity to start their own franchise, to just go for it. The Detail Garage process and foundation makes the dream very achievable and you too can walk away from your day job and walk into something you will love. It is great for these brothers to share the same passion and most of all they get the satisfaction of seeing all the excitement on people’s faces as they come into their very own Detail Garage store for the first time. To keep up with the action, visit the Detail Garage Swansea Facebook page and Instagram page.